Dire Straits was a British rock band that was formed in 1977 by Mark Knopfler (guitar and voice), David Knopfler (guitar), John Illsley (bass), Pick Withers (drums), and managed by Ed Bicknell. 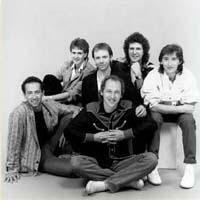 Dire Straits formed during the post-punk era in the late 1970s, but their sound was stripped-down and minimalist. The band broke up in 1995. This ranking includes all the band's albums, so vote for your favorites!